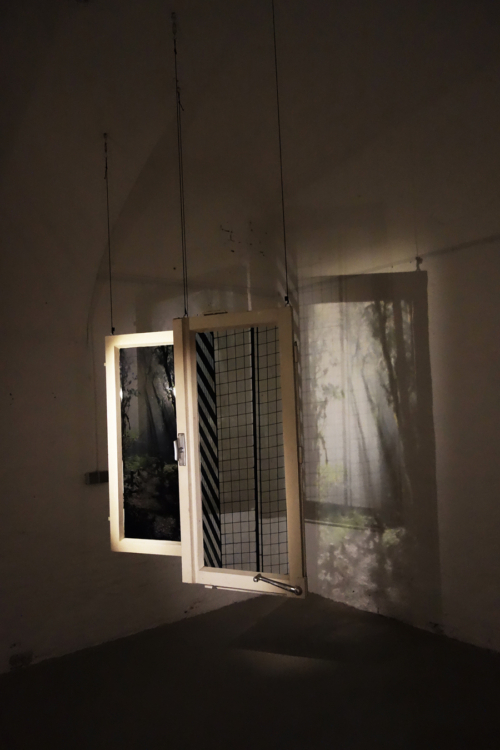 The starting point of the installation Tageslichtlizens (Daylight-license) is the diary-like dystopian novel Kallocain by Karin Boye (written in 1940). 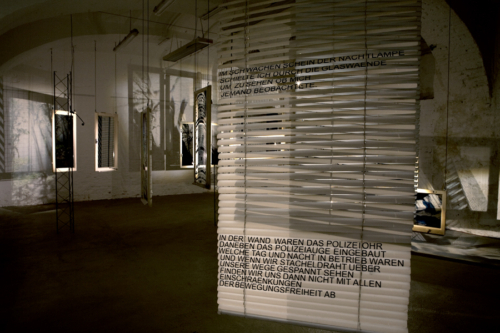 The installation is based on a text that is made from selected sentences and phrases of the book Kallocain by a new compilation into a new context. 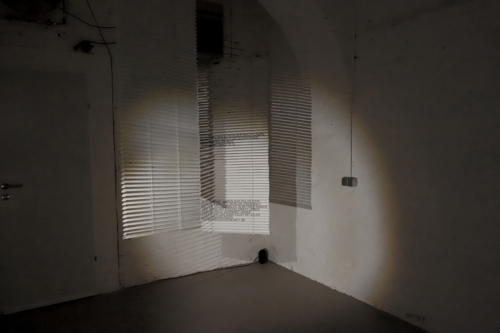 The newly formed constellation creates a dialogue of sentences that move audibly through space. 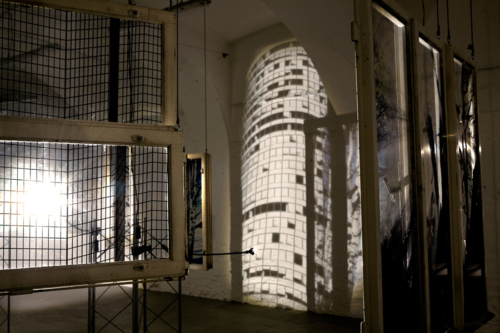 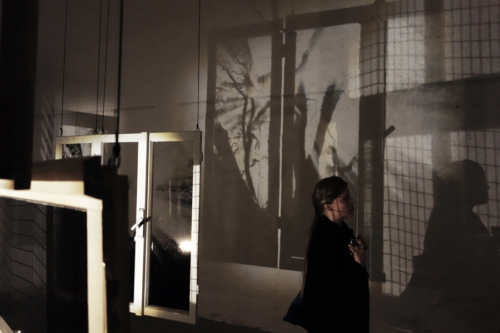 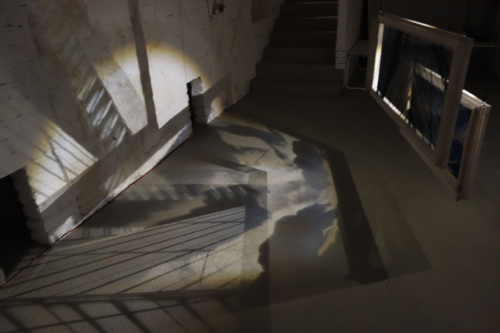 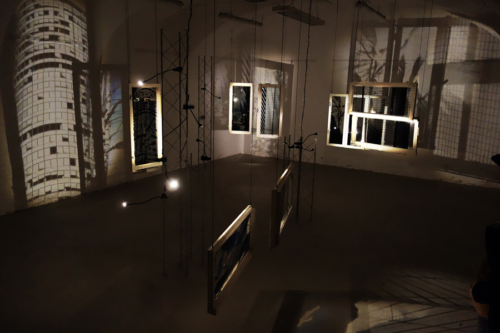 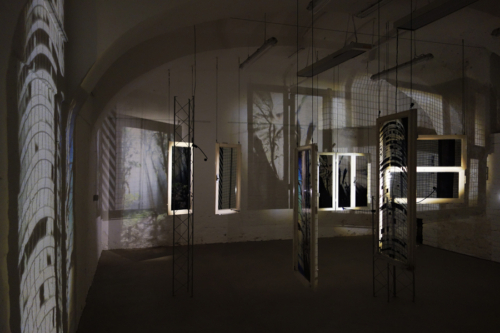 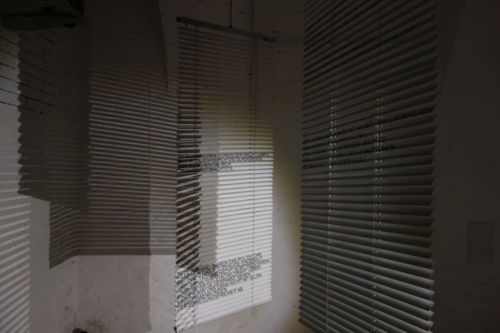 An installation of windows leading through the space as an image carrier and projection base visually closes the duality of image and text and tries to find a common expression. 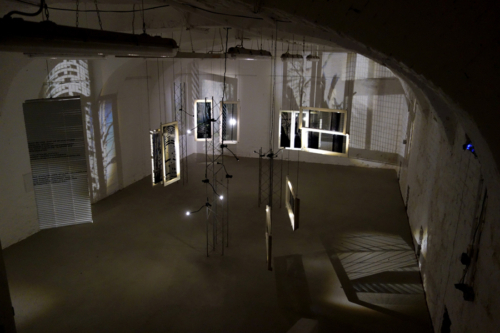 Through the use of already written sentences from the book and their re-compositions, a new story emerges which is accompanied by the imagination of the viewer, whereby the words of Karin Boye pretend the approach.